Oh, how lovely those rays feel on your skin on a hot summer day on the beach. The cool ocean breeze makes the heat bearable and even pleasant as you are working on your sun kissed look. But what is the cost of your tan? Do you know that there is also a rather taxing price on your skin even when you are not sunbathing or participating in outdoor recreational activities? Most people also don’t realize that the UV rays from the sun can be just as strong on a clear and sunny day as a cloudy or hazy one. The sun emits two different types of ultraviolet rays that are both harmful to our bodies, if we do not take the proper precautions. The UVA and UVB rays of the sun affect your skin whenever you come in contact with them, especially if your skin is without protection. So, what is the difference between UVA and UVB rays, and what can you do to protect yourself against them? Obviously, it is near impossible to stay completely out of the sun all of the time. Brief exposure to the sun actually does have some benefits relating to the absorption of vitamin D and its ability to actually help to boost your mood. However, there are certain daily practices and sun rules that you can follow in order to decrease your chances of premature skin aging and skin cancer. Wear sunscreen everyday, all day! Use a broad-spectrum sunscreen that has a SPF of at least 15. Reapply your sunscreen every two hours of continuous outdoor time and every 80 minutes of high intensity sweat producing or water related activities. Limit your sun exposure during 10am and 2pm; this is when the sun is the strongest. Wear protective clothing like a lightweight long sleeve shirt or a wide brim hat when you know that you will be in the direct sunlight for prolonged periods of time. Is sunscreen part of your daily routine, even if you are not planning on spending any significant time in the direct sunlight? According to a study performed in 2013 by the American Academy of Dermatology, the majority of Americans do not regularly use sunscreen. 43.8% of men and 27% of women reported that they never use sunscreen on their face. 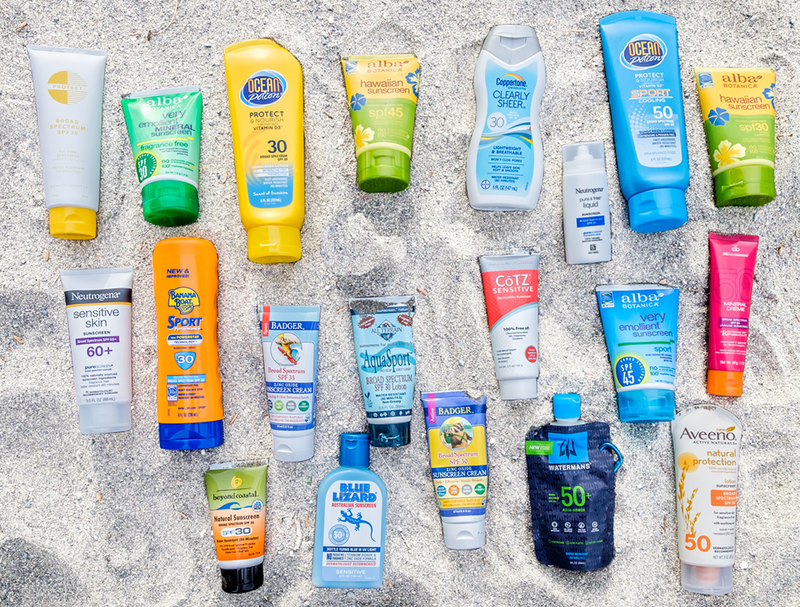 42.1% of men and 26.8% of women reported that they never use sunscreen on other exposed parts of their bodies. This is astonishing considering that anyone can get skin cancer (1 in 5 Americans will at some point in his or her life). The sun is a constant component in our daily lives and the leading cause of skin cancer and visible signs of aging. The ozone layer in our atmosphere works as a protective layer against the sun’s harmful ultra violet rays. However, this shield is thinning at an alarming rate due to all different types of air pollution. The result of this tragic depletion is that the detrimental rays of the sun can more easily penetrate through, which has increased skin cancer at an exponential rate. Mr. Sun has a dark side! A staggering 90% of visible signs of skin aging are caused by exposure to the sun. The majority of skin cancer incidences are caused by exposure to the sun. The sun is the epitome of a great paradox; there is a fine line between life substantiation and termination. Fortunately, there are multiple highly effective methods that should be made into daily practices. There is no excuse, regardless of where you live, how active you are outdoors, or whether it is sunny or cloudy outside. The sun will get you, and in time that culmination of exposure will show its face on your face. 1 million earths could fit inside of the sun. The sun is ironically classified as a Yellow Dwarf star. Light from the sun takes 8 minutes to reach the earth, but first that energy will have already have traveled for millions of years from the core of the sun to reach the surface of it. The surface of the sun is 9,932 degrees Fahrenheit. In the upcoming weeks, we will take a look at the following topics relating to sun protection and repair.